Orthodontist, Dr. Chase Dansie at Dansie Orthodontics offers a complimentary, no-pressure Dansie Smile Assessment that includes an exam, 3D Digital X-rays, comprehensive consultation for braces and more! You will get to speak with Dr. Dansie directly to ask any questions you may have regarding braces, orthodontics, orthodontic treatment or to express any concerns you may have with starting orthodontic treatment. He will be able to help you feel comfortable and confident as you begin your journey to a new smile! 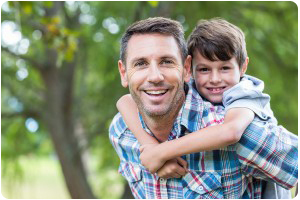 When you choose Dansie Orthodontics, you will receive the latest in orthodontic advancements, which ultimately will mean a shorter time in braces and fewer appointments for you and your child! From the very first visit to our Herriman or Jordan Landing orthodontics office, when 3D digital x-rays are taken, you or your child is already on the way to the best smile ever – even faster! 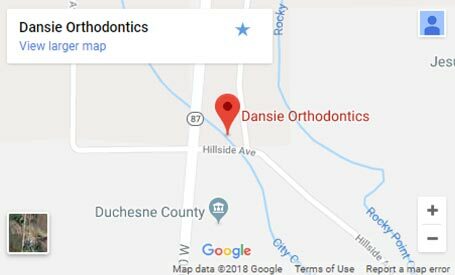 At Dansie Orthodontics, our orthodontics team understands that you may be eager to start your journey to a new smile. To help you get started sooner, call right away to set up your Dansie Smile Assessment. Our orthodontics team can typically get you in for an appointment within 24 hours on a weekday, and depending on the option you choose for orthodontic treatment, you could even walk out with braces on the very same day! 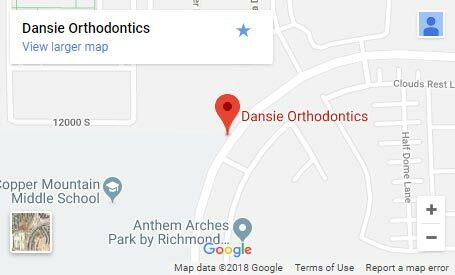 At Dansie Orthodontics, we want your schedule of appointments to be as convenient as possible. To ensure we do not disrupt your day, we have before and after school appointments that will often coordinate with work schedules as well! Ask about our “Never Miss Work or School Guarantee” at your Dansie Smile Assessment! Dansie Orthodontics understands the importance of innovative orthodontic treatment solutions. In order to provide the most effective and efficient orthodontic treatment available, Dr. Dansie keeps up with the latest in modern orthodontic technologies. 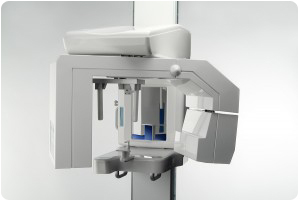 This includes the office’s iCat 3D imaging machine that creates a 3D image of your mouth to ensure that straightening your teeth also improves the alignment of your jaw, the alignment of your bite, and the breadth of your smile. 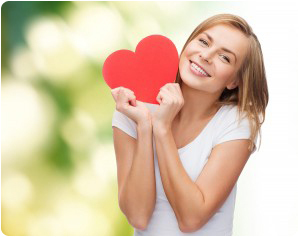 For you, this means straighter teeth, a wider smile, and balanced facial profile to create your best smile ever! At Dansie Orthodontics, we never want financial reasons hold you back from receiving the treatment that you or your loved one deserves. For that reason, we are proud to offer a wide range of payment plans, some even with 0% interest! We will take the time to maximize your insurance benefits when applicable, and also help you structure a worry-free payment plan when needed. We have also recently partnered with OrthoFi, allowing patients the ability to customize a payment plan that works within their budget. You can select your own monthly and down payment amounts, and easily manage your account online. Dr. Dansie wants to make sure that your dental health and optimal smile are a priority, rather than worrying about how to pay for the great treatment you deserve. He and his team will do everything they can to ensure your ideal treatment options are as affordable as possible. Thankfully, many insurances cover at least a portion of orthodontic treatment, as having straight teeth and an aligned bite is crucial to having healthy teeth and gums. Additionally, Dansie Orthodontics accepts most insurances for your convenience. 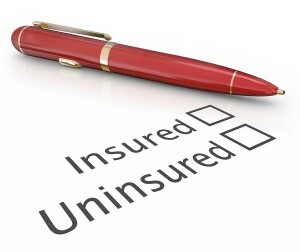 If the practice is considered out of network for your insurance provider, they will still fill out your insurance claim and file it on your behalf to ensure you are getting the maximum benefit your insurance provider offers. 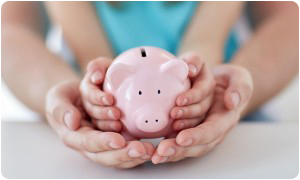 You have even more ways to save when you bring in your family for orthodontic treatment at Dansie Orthodontics! Dr. Dansie is happy to treat siblings, moms, dads, even grandparents! 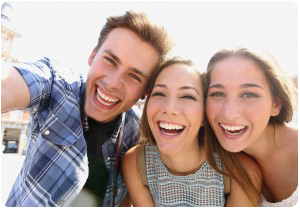 When you have multiple family members start treatment at the same time, you can save on the cost of braces and orthodontic treatment! 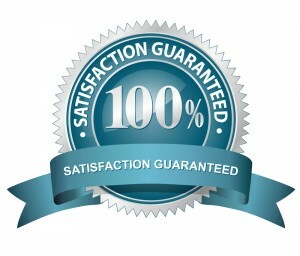 At Dansie Orthodontics, we offer the Full-Treatment, 100% Satisfaction Guarantee. Our guarantee covers the full duration of orthodontic treatment, from the time you get your braces on, to the time you see your transformed smile! We only ask you to keep an open-mind as your treatment progresses and a positive attitude. If you begin to feel less than 100% satisfied with the orthodontic treatment you are receiving, we simply ask you to let us know, and we will make it right! 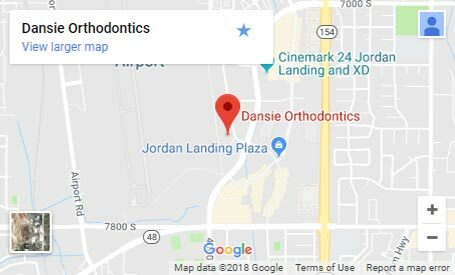 When considering your options for orthodontists in Herriman or Jordan Landing, one important factor should be how much involvement will be required on your behalf. You may worry about how each appointment will affect your routine, as well as if you will be able to afford braces. The team at Dansie Orthodontics is dedicated to ensuring these are things you won’t need to worry about. Dr. Dansie strives to provide worry-free orthodontic treatment regardless of type of braces you choose. You may be familiar with the typical experience associated with visiting a doctors office. The staff is typically too busy to be bothered with your questions or even checking you in. The waiting room often feels stale and magazines that are available are out-dated and well-worn. Overall, it is a less than favorable experience, which may be why so many people avoid going to the doctors. At Dansie Orthodontics, our orthodontics team is friendly and inviting. Our waiting area is modern and welcoming, so you will never mind spending time there. Dr. Dansie and his orthodontics team are dedicated to providing the best experience ever for their patients. They even offer comfortable massage chairs to parents that are waiting while their children are being treated! You will always feel at ease when visiting Dansie Orthodontics. 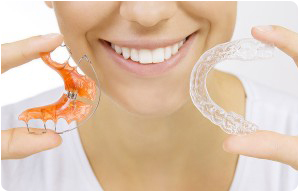 With some orthodontic offices, your retainer isn’t included in your orthodontic treatment plan! After the braces come off, you are instead required to pay $600-$700 dollars for a single set of retainers to keep your smile straight and looking great. Thankfully, when you choose Dansie Orthodontics, your first set of retainers is included in your orthodontic treatment plan! We believe that including retainers in the treatment plan simply adds to the concept of truly worry-free orthodontic treatment!